Mr. PAUL. Mr. Speaker, I ask unanimous consent to claim the time of the gentleman from North Carolina (Mr. JONES). The SPEAKER pro tempore. Is there objection to the request of the gentleman from Texas? Mr. PAUL. Mr. Speaker, the big question is how history will play the current financial situation if all the great wealth accumulated in the last 10 years dissipates in a financial collapse. According to an article in The New Republic, Greenspan is not only held in high esteem on Wall Street, he is seen as Godlike. One trader is quoted as saying, When things go well, I hold Greenspans picture between my hands and say, thank you. When things go poorly, I also take the photo in my hands and pray. And he is not alone on Wall Street in heaping praise on Greenspan. This comes as close to idolatry as one can get. Alan Greenspan took over the Fed a few months before the stock market crash of October, 1997. In the 10 years that Greenspan has headed the Fed, $2 trillion of new credit has been created as measured by M3. Banks threatened by bankruptcy in the early 1990s received generous assistance from the Fed policy of low interest rates and rapid credit expansion as a response to the recession of 1991. Fed fund rates were held at 3 percent for well over a year. This generous dose of Fed credit has fueled the 5-year superboom on Wall Street. We are endlessly told no inflation exists. But inflation is strictly and always a monetary phenomenon and not something that can be measured by a government consumer or producer price index. Even so, there currently is significant price inflation for the fancy homes throughout the country, especially in the New York and Connecticut areas influenced by the New York financial center. CEO compensation is astronomically high, while wages for the common man have been held in check. The cost of all entertainment is not cheap and rises constantly. Art prices are soaring, as is the price of tickets to athletic events. Buying stocks with a 1.8 percent dividend yield is not cheap. These prices are inflated. The cost of education, medicine, and general services are expensive and rising. In spite of Government reports showing food prices are not rising, many constituents I talk to tell me food prices are always going up. It seems every family has difficulty compensating for the high cost of living and taxes are always inflating. There is no doubt that many Americans know the salaries of the CEOs, athletes and entertainers are astronomically high. The wages of the average working man, though, has not kept up. Workers feel poorer and resentment grows. Even with all of Wall Streets euphoria, Main Street still harbors deep concern for their financial condition and the future of the country. Many families continue to find it difficult to pay their bills, and personal bankruptcies are at a record high at 1,400,000 per year. Downsizing of our large corporations continue as many manufacturing jobs are sent overseas. This current financial bubble started in mid-1982. At that time, the money supply, as measured by M3, was $2.4 trillion. Today it is over $5.5 trillion. That is a lot of inflation, and money supply growth is currently accelerating. Although the money supply has been significantly increased in the past 16 years and financial prices as well as other prices have gone up, Government officials continue to try to reassure the American people that there is no inflation to worry about because price increases, as measured by the Governments CPI and PPI, are not significantly rising. Stock prices, though, are greatly inflated. If we had an average valuation of the Dow Jones Industrials for the past 87 years, as measured by the PE ratios, the Dow would be a mere 4,100 today, not over 9,000. And the Dow would be much lower yet if we took the average price-to-dividend ratio or the price-to-book ratio. The NASDAQ is now selling at 85 times earning. There is no doubt that most stock prices are grossly inflated and probably represent the greatest financial bubble known in history. A lot of foreign money has been used to buy our stocks, one of the consequences of computer-age financial technology and innovations. Our negative trade balance allows foreign governments to accumulate large amounts of our treasury debt. This serves to dampen the bad effect of our monetary inflation on domestic prices, while providing reserves for foreign central banks to further expand their own credit. Think of this: Money can be borrowed in Japan at Depression-era rates of 1 percent and then reinvested here in the United States either in more treasury debt earning 5 or 6 percent, or reinvested in our stock market, which is currently climbing at a 20 percent annualized rate. This sounds like a perfect deal for todays speculators, but there is nothing that guarantees this process will continue for much longer. Perfect situations never last forever. Some of the euphoria that adds to the financial bubble on Wall Street and internationally is based on optimistic comments made by our government officials. Political leaders remind us time and again that our budget is balanced and the concern now is how to spend the excess. Nothing could be further from the truth, because all the money that is being used to offset the deficit comes from our trust funds. In other words, its comparable to a corporation stealing from its pension fund in order to show a better bottom line in its day-to-day operations. Government spending and deficits are not being brought under control. Tax rates are at historic highs, and all government taxation now consumes 50 percent of the gross national income. It is now commonly believed that the East Asian financial crisis is having no impact on our economy. But its too early to make that kind of an assessment. Our president remains popular, according to the polls, but what will it be like if theres any sign of economic weakness? There could then be a lot of piling on and finger pointing. 1. In the early stages it is difficult to forecast exactly who will suffer and when. 2. Inflated currency and artificially low interest rates result in mal-investment that produces over capacity in one area or another. 4. Prices indeed do go up, although which prices will go up is unpredictable, and the CPI and PPI can never be a dependable measurement of a monetary policy driven by loose credit. 5. The group that suffers the very most is the low-middle-income group (those willing to stay off welfare, yet unable to benefit from any transfer of wealth as stagnant wages fail to protect them from the ravages of the rising cost of living). There are probably several reasons why this current economic boom has lasted longer than most others. The elimination of the Soviet threat has allowed a feeling of optimism not felt in many decades, and there has subsequently been tremendous optimism placed on potential economic development of many world markets in this age of relative peace. There is also very poor understanding regarding economic interventionism, the system most nations of the world accept today. Todays interventionism is not close to a free market. The great Austrian economist Ludwig von Mises consistently pointed out that interventionism always leads to a form of socialism, which then eliminates the apparent benefits of interventionism. A good example of how interventionism leads to the destruction of a market can be seen in the recent tobacco fiasco. First, the tobacco industry accepted subsidies and protectionism to build a powerful and wealthy industry. Then, having conceded this nanny role to the government, Big Tobacco had no defense when it was held liable for illnesses that befell some of the willing users of tobacco products. Now, the current plan of super taxation on tobacco users will allow the politicians to bail out the individual farmers who may be injured by reduced use of tobacco products (destruction of the market). This half-trillion-dollar tax proposal hardly solves the problem. Just as in the 1920s todays productivity has fooled some economists by keeping prices down on certain items. Certainly computer prices are down because the price of computer-power has dropped drastically, yet this should not be interpreted as an absence of inflation. Innovation has kept prices down in the computer industry, but it fails to do so when government becomes overly involved as it has in other technological areas, such as medical technology, where prices have gone up for services such as MRIs and CAT scans, not down. LEARN FROM JAPAN The most important thing to remember is that perceptions and economic conditions here can change rapidly, just as they did last summer in the East Asian countries with the bursting of their financial bubble. They are now in deep recession. Even though Japan first recognized signs of difficulty nine years ago, their problems linger because they have not allowed the liquidation of debt, or the elimination of over capacity, or the adjustment for real estate prices that would occur if the market were permitted to operate free of government intervention. The U.S. did the same thing in the 1930s, and I suspect we will do exactly what Japan is doing once our problems become more pressing. With our own problems from the inflation of the last 15 years now becoming apparent, their only answer so far is to inflate even more. In its effort to re-energize the economy, the Bank of Japan is increasing its reserves at a 51 percent rate. This may be the greatest effort to inflate and economy back to health in all of history. Japan has inflated over the years and will not permit a full correction of their mal-investment. The Bank of Japan is doing everything possible to inflate again, but even with interest rates below 1 percent there are few takers. OECD measurements, the M1 and quasi-money have been increasing at greater than 20 percent per year in East Asia. In the United Stats, M3 has been increasing at 10 percent a year. It is estimated that this year the U.S. will have a $250 billion current account deficit — continued evidence of our ability to export our inflation. We are now the worlds greatest debtor, with an approximately $1 trillion debt to foreign nations. Although accumulation of our debt by foreign holders has leveled off, it has not dropped significantly. The peak occurred in mid-1997 — today these holding are slightly lower. THE CRUELEST TAX OF ALL This process of deliberately depreciating a currency over time (inflation) causes a loss in purchasing power and is especially harmful to those individuals who save. AIER (American Institute for Economic Research) calculates that 100 million households since 1945 have lost $11.2 trillion in purchasing power. This comes out to $112,000 per household, or put another way, over 5 decades each one of these households lost $2,200 every year. Although many households are feeling very wealthy today because their stock portfolios are more valuable, this can change rather rapidly in a crash. The big question is what does the future hold for the purchasing power of the dollar over the next 10 or 20 years? THE END IN SIGHT? Reassurance that all is well is a strategy found at the end of a boom cycle. Government revenues are higher than anticipated, and many are feeling richer than they are. The more inflated the stock market is as a consequence of credit creation, the less, reliable these markets are at predicting future economic events. Stock markets can be good predictors of the future, but the more speculative they become, the less likely it is the markets will reveal what the world will be like next year. The business cycle — the boom-bust cycle of history — has not been repealed. The psychological element of trust in the money, politicians, and central bankers can permit financial bubbles to last longer, but policies can vary as well as perceptions, both being unpredictable. CENTRAL BANKERS The goal of central bankers has always been to gain benefit from the inflation they create, while preventing deflation and prolonging the boom as long as possible — a formidable task indeed. The more sophisticated and successful the central bankers are as technicians, the larger the bubble they create. In recent years, central bankers have had greater success for several reasons. First, due to the age in which we live, internationalizing labor costs has been a great deal more convenient. It is much easier for companies to either shift labor from one country to another, or for the company itself to go to the area of the world that provides the cheapest labor. This has occurred with increased rapidity and ease over the past two decades. Central bankers have also become more sophisticated in the balancing act between inflation and deflation. They are great technicians and are quite capable of interpreting events and striking a balance between these two horrors. This does not cancel out the basic flaw of a fiat currency; central bankers cannot replace the marketplace for determining interest rates and the proper amount of credit the economy needs. Central bankers have also had the advantage of technological changes that increase productivity and also serve to keep down certain prices. It is true that we live in an information age, an age in which travel is done with ease and communication improvements are astounding. All of these events allow for a bigger bubble and a higher standards of living. Unfortunately this will not prove to be as sustainable as many hope. THE PRICE OF GOLD Another reason for the central bankers greater recent success is that they have been quite willing to cooperate with each other in propping up selected currency values and driving down others. They have cooperated vigorously in dumping or threatening to dump gold in order to keep the dollar price of gold in check. They are all very much aware that a soaring gold price would be a vote of no confidence for central-bank policy. Washington goes along because it is furtively, but definitely, acknowledged there that a free-market, high gold price would send a bad signal worldwide about the world financial system. Therefore, every effort is made to keep the price of gold low for as long as possible. Its true the supply-siders have some interest in gold, but they are not talking about a gold standard, merely a price rule that encourages central-bank fixing of the price of gold. Most defenders of the free-enterprise system in Washington are Keynesians at heart and will not challenge interventionism on principle. Instead of making sure that policy is correct, central bankers are much more interested in seeing that the gold-price message reflects confidence in the paper money. Thus gold has remained in the doldrums despite significant rising prices for silver, platinum, and palladium. However, be assured that even central banks cannot fix the price of gold forever. They tried this in the 1960s with the dumping of hundreds of millions of ounces of American gold in order to artificially prop up the dollar by keeping the gold price at $35/oz., but in August 1971 this effort was abandoned. THE SOLUTION The solution to all of this is not complex. But no effort is going to be made to correct the problems that have allowed our financial bubble to develop, because Alan Greenspan has been practically declared a god by more than one Wall Street guru. Because Alan Greenspan himself understands Austrian free-market economics and the gold standard, it is stunning to see him participate in the bubble when he, deep down inside, knows big problems lurk around the corner. Without the motivation to do something, not much is likely to happen to our monetary system in the near future. It must be understood that politicians and the pressure of the special interests in Washington demand that the current policies of spending, deficits, artificially low interest rates and easy credit will not change. It took the complete demise of the Soviet-Communist system before change came there. But be forewarned: change came with a big economic bang not a whimper. Fortunately that event occurred without an armed revolution . . . so far. The amazingly sudden, economic events occurring in East Asia could still lead to some serious social and military disturbances in that region. The key element to the financial system under which we are now living is the dollar. If confidence is lost in the dollar and a subsequent free-market price for gold develops, the whole financial system is threatened. Next year, with the European currency unit (ECU) coming on line, there could be some serious adjustments for the dollar. The success of the ECU is unpredictable, but now that they are indicating some gold will be held in reserve, it is possible that this currency will get off the ground. NATIONALISM However, I continue to have serious reservations regarding the ECUs long-term success, believing that the renewed nationalism within Europe will not permit the monetary unification of countries that have generally not trusted each other over the centuries. In Germany, 70 percent of the people oppose entering into this new monetary agreement. If economic problems worsen in Europe — currently the unemployment rate in Germany and France is 12 percent — the European union may well get blamed. The issue of nationalism is something that cannot be ignored. Immediately after the collapse in East Asia, Malaysia began shipping out hundreds of immigrants from Indonesia as a reaction to their economic problems. Resentment in Germany, France, and England is growing toward workers from other countries. The same sentiment exists here in the United States, but its not quiet as bad at this particular time because our economy is doing better. But in the midst of a deep recession, the scapegoats will be found and alien workers will always be a target. The greatest danger in a collapsing financial bubble is that the economic disruptions that follow might lead to political turmoil. Once serious economic problems develop, willingness to sacrifice political liberty is more likely, and the need for a more militant government is too often accepted by the majority. No one has firmly assessed the Y2K problem, but it cannot bode well if a financial crisis comes near that time. Certainly a giant company like Citicorp and Travelers, who have recently merged, could really be hurt if the Y2K problem is real. Since the markets seem to be discounting this, I have yet to make up my own mind on how serious this problem is going to be. WASHINGTON MENTALITY Every politician I know in Washington is awestruck by Greenspan. The article in The New Republic reflects the way many Members of Congress feel about the success of Greenspan over the last ten years. Add to this the fact that there is no significant understanding of the Austrian business cycle in Washington, and the likelihood of adopting a solution to the pending crisis, based on such an understanding, is remote. Liberals are heedless of the significance of monetary policy and its ill effects on the poor. They have no idea that the transfer of wealth from the poor to the rich occurs as a result of monetary policy and serves to hurt the very people they claim to represent. Liberals stick to the old cliche� that all thats needed are more welfare benefits. They are, Im sure, influenced by the fact that if more welfare benefits are handed out, they can count on the Federal Reserve to accommodate them. Unfortunately this will continue to motivate them to argue for a loose monetary policy. The debate so often seems only to be who should get the expanded credit, the business-banking community or the welfare recipients who will receive it indirectly through the monetization of an ever-expanding government deficit. In Washington there is a craving for power and influence, and this motivates some a lot more than their public display of concern for helping the poor. Whether its Japan that tries to inflate their currency to get out of an economic problem, or the East Asian countries facing their crisis, or our willingness to bail out the IMF, resorting to monetary inflation is the only option being considered. We can rest assured that inflation is here to stay. With daily pronouncements that inflation is dead, the stage is set for unlimited credit expansion whenever it becomes necessary. Just as deficit spending and massive budgets will continue, we can expect the falling value of the dollar, long term, to further undermine the economic and political stability of this country and the world. Until we accept the free market principle that governments cannot create money out of thin air and that money must represent something of real value, we can anticipate a lot more confiscation of wealth through inflation. 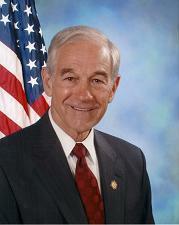 1998 Ron Paul 39:1 through 1998 Ron Paul 39:15 were spoken by Ron Paul; the rest of this chapter is an extension of his remarks. 1998 Ron Paul 39:28 Just as in the 1920s todays productivity has fooled some economists by keeping prices down on certain items. could use a comma after 1920s. 1998 Ron Paul 39:32 In the United Stats probably should be, In the United States. 1998 Ron Paul 39:36 the less, reliable seems to have an extra comma and probably should be, the less reliable. 1998 Ron Paul 39:50 its not quiet as bad perhaps should be its not quite as bad.